Australia is a big country, from the tropical north to the temperate southern latitudes and cool Tasmania, so it’s difficult to generalise about the climate. Flying weather is generally quite good throughout the country most of the time. But if your flight is in the southeast or the south, especially over the Great Dividing Range, you may encounter some decidedly wintry conditions in the cool months. If you don’t routinely fly in the winter-prone latitudes and altitudes, winter can be a season of surprises. Two cold-weather aviation weather hazards come immediately to mind: airframe ice, and frost. A third, carburettor icing, is more a function of humidity than outside temperature itself. Three additional flying hazards occur as a result of winter weather patterns but may happen any time of the year: strong or gusty surface winds, turbulence aloft, and wet or slick runways. And three more threats are year-round considerations made more critical when the weather is cold: engine and instrument wear during cold start-ups, carbon monoxide poisoning, and survival if you should be forced down … especially considering the remoteness of most fly-over locations in Australia. Let’s take a look at each of the nine winter hazards, and specific techniques you can use to mitigate the risks. Airframe ice occurs when liquid water vapour in clouds, fog or precipitation comes into contact with an object having a below-freezing surface temperature. If that object is your aeroplane’s wings or tail, the resulting ice alters the aircraft’s aerodynamics in unpredictable ways. The aerofoils won’t generate as much lift, and you’ll need either more power, or a higher angle of attack (or both) for a given phase of flight. Stall and angle-of-attack warning devices won’t accurately reflect the actual stall margin. Ice can quickly obscure the windscreen, making it impossible to see forward for landing. If the outside air temperature is about -15°C, moisture in the air will already be frozen into microscopic ice crystals. Ice crystals flow around the wing’s laminar flow or bounce harmlessly off the airframe, and present no hazard. In cumuliform clouds liquid water can exist at temperatures as low as -40°C—updrafts in cumulus clouds can keep larger droplets of water aloft, and the surface tension of larger droplets keeps them from freezing all the way through. These ‘large supercooled water droplets’ burst when hit by your aeroplane, permitting the water inside to quickly spread out and freeze into a sheet of clear ice. This, and the fact that cumuliform clouds contain far more water per volume of air than stratus types, is why avoiding cumulus clouds is vital when flying in below-freezing temperatures. You may have noticed I phrased the conditions for ice formation a little differently than most texts. 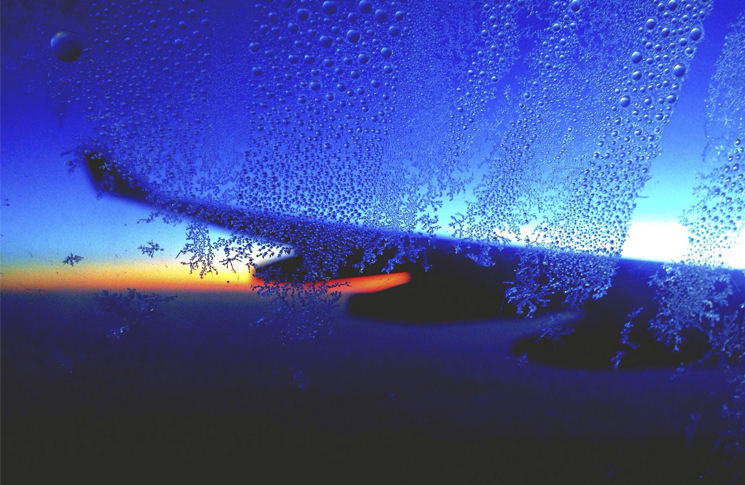 Most sources say that airframe ice occurs when the air temperature is below freezing. This is a condition for airframe ice only in that it cools aeroplane surfaces to below freezing temperatures. If your aeroplane is cold-soaked from cruising at altitude, you may pick up ice descending into clouds that are slightly warmer than 0°C. This is why most texts state the temperature range for ice accumulation is +5°C to -15°C in stratiform clouds, and +5°C to -40°C in cumulus—because even clouds as warm as +5°C can generate ice if your aeroplane surfaces are cold enough. Some turbine aeroplanes employ leading edge heating devices that negate most airframe icing hazards in subzero air. If an aeroplane is fast enough, air friction itself can heat leading edges enough to prevent ice formation. Many military jets, in fact, have no ice protection at all—their ice mitigation technique is simply to go faster to heat up the leading edges. Your ice avoidance strategy isn’t that simple. If you’re not flying an aeroplane approved for flight in icing conditions, you must avoid flight in visible moisture (clouds, fog or precipitation) when the temperature is below freezing. Avoid descending into cloud when the temperature at the tops is as high as +5°C, if you’ve been cruising at below-freezing altitudes. If your aeroplane is certified for flight in icing conditions, avoid flying in cumulus clouds when the temperature is in the ice-formation range—even ‘known ice’ aeroplanes cannot prevent formation of ice in large supercooled water droplet conditions. In any aeroplane, respond to the first sign of ice accumulation the same as you’d react to an unexpected alarm from the stall warning horn: do something, now, to get yourself out of the hazardous situation. In the case of airframe ice, that means climbing, descending, or turning back into ice-free air. Frost forms on cold, clear nights with calm winds and high humidity. The crystalline nature of frost means it severely disrupts airflow and creates significant drag. A US National Transportation Safety Board study shows that just a few millimetres of frost can degrade a wing’s lift-generating capability by as much as 20 per cent. That’s 20 per cent less weight the aeroplane can carry, and a dramatic increase in stall speed that won’t be detected by stall warning or angle of attack devices. The only appropriate frost mitigations are to cover the wings and tail overnight, hangar the aircraft to prevent frost formation, move a frosted aeroplane inside a heated hangar to remove the frost, use approved deicing fluids to melt frost off the aeroplane, or wait until the sun melts frost off the aeroplane naturally. Carburettor icing is sometimes incorrectly considered to be a winter weather-flying hazard. In fact, CASA’s Carburettor Ice Probability Chart tells us ‘carb ice’ may form at temperatures as high as +38°C, and says ‘paradoxically, it is less likely at very cold [ambient] temperatures’. If your engine is carburetted, follow the pilot’s operating handbook (POH) recommendation for its use. Winds are the result of changes in air pressure, which tend to be more dramatic in the cooler months. 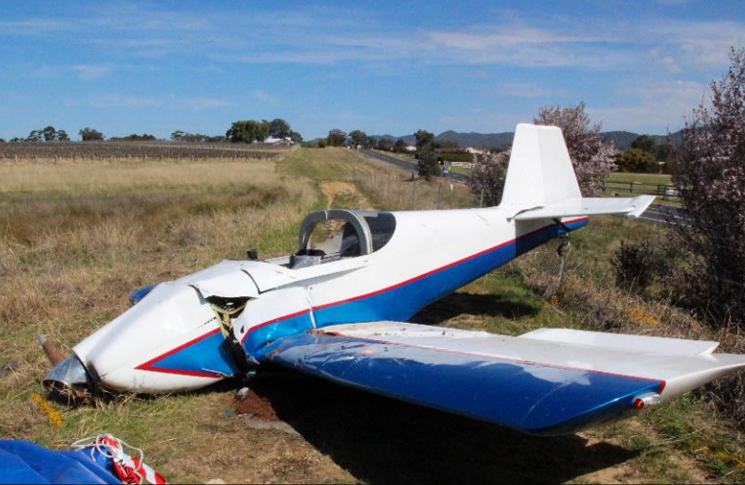 Loss of directional control during take-off or landing is the single most common type of aeroplane-damaging event. Because winter potentially exposes you to more crosswinds and low-level wind shear, use the time before the cooler months to practise crosswind take-offs and landings. Be conscious of your personal crosswind capabilities, and use them to put a limit on the amount of crosswind you’ll accept. Also, review wind shear prediction, recognition and escape techniques, and exercise your escape option immediately at the first sign of wind shear when on finals to land. Stronger pressure gradients also support more turbulence at altitude. Combined with wind flow around mountains, your wintertime flight may be bumpier than the ambient temperature might suggest. Aeroplanes have a turbulent air penetration speed (Vb) that is the recommended maximum speed for flight in moderate or greater turbulence. You won’t find this speed in most pilot’s operating handbooks. Instead, they list Va, the design manoeuvring speed at maximum weight, and leave pilots to deduce the rest. At or below the Vb, when encountering a significant wind shear aloft the aeroplane’s wing will momentarily stall before it exceeds its maximum design load (usually 3.8Gs). Above this speed and the aeroplane may suffer structural damage in that same gust. Essentially, Vb is Va with a twist: turbulent air penetration speed decreases with reductions in aeroplane weight—in knots, approximately two per cent for every 45 kg reduction below the aeroplane’s maximum gross weight. The key is to slow down to avoid overstressing the airframe in turbulence. Often when I ask pilots when they should slow to turbulent air penetration speed they reply ‘when I get into turbulence’. But you do not get a ‘free bump’ before which the airframe may be damaged if flying too fast in turbulence. You must anticipate areas of moderate or greater turbulence, and slow to a weight-adjusted turbulent air penetration speed before encountering the very first wind shear. Although snow at the surface is uncommon in most of Australia even in winter, precipitation can result in water-contaminated runways. Braking action may become nil and directional control difficult. Hydroplaning is always a possibility on wet runways, regardless of the time of the year. The speed at which your aeroplane will hydroplane—a function of its tyre pressure—is not much faster than most aeroplanes’ recommended touchdown speed. To mitigate the risks of hydroplaning, then, practise landing at the ‘book’ speeds (generally slower than most pilots land), avoid using brakes during landing, and employ the proper control inputs for crosswind control: stick aft and aileron into the wind, increasingly so as the aeroplane decelerates. If this technique becomes second nature, you’ll be better able to avoid the risks of hydroplaning. Multi-viscosity oils make starting a cold engine easier and less wear-inducing. But manufacturers still recommend preheating an aeroplane engine if it’s been sitting out in less than about +5°C air. If it’s cold enough to preheat the engine, it’s also cold enough that you should preheat the instrument panel if it has gyroscopic instruments. Oil in the gyroscopes must be fluid to prevent gyro wear; failing to preheat instruments will drastically shorten the instruments’ life. After heating the engine, direct the forced air into the cabin and under the panel for a few minutes to warm the gyroscopes. It’s even better if you can store the aeroplane in a heated hangar for a few hours before start. Most single-engine aeroplanes obtain cabin heat by warming air in a heat exchanger around the muffler, and then ducting that heated air into the cabin. Any leak in the muffler can permit deadly carbon monoxide (CO) gas to enter the cabin. CO is odourless and colourless, so although you might also notice ‘exhaust smell’, the presence or absence of smell does not indicate the presence or absence of carbon monoxide. It’s not true that using a lean-of-peak exhaust gas temperature mixture in cruise totally eliminates the chance of CO poisoning. I’ve heard from several pilots who got CO warnings in lean-of-peak flight. Although it’s less likely that the combustion heaters used in most multi-engine aeroplanes will send CO gas into the cabin, it’s still possible a leak in the heater’s burner could put the pilot and passengers at risk. There are two types of CO detector: electronic ‘sniffers’ that sound an alarm when they detect CO, and ‘orange dot’ panel stick-ons that turn dark when in contact with a dangerous level of carbon monoxide. The electronic type, though more expensive, is preferable, because they can be set to go off as soon as the danger begins. If you see a dark-spotted stick-on detector, the danger threshold has already been passed; you need to land immediately and seek medical attention. Lastly, in addition to everything else, you should carry survival equipment in the event of a forced landing in a remote location, and dress as though you might have to survive in cold weather for an extended time. It’s tragic when people survive a crash or forced landing then die from exposure. Cold outbreaks occur in the southern part of Australia any time a cold front pushes in from the Southern Ocean. When this cold air mass combines with sufficient moisture and uplifting as it blows against rising terrain, it may result in any or all of these nine weather hazards. Be ready to mitigate the hazards and avoid treacherous flying conditions, and winter will not be a season of surprises.